Beer has many uses in cooking that are similar to wine. These include marinating, braising, roasting, and for broths and stews. Combine with other liquids or add at full strength. Either way, much of the alcohol will burn off leaving behind a subtle texturing of malt and yeast. There’s more to beer than making a simmering brew, however. Create batters for deep-frying and add to muffin mixes and bread doughs for denser, moist baked goods. In early times, beer was used more than water or milk as it was considered safer to consume. • Lager: These are the canned and bottled products that are blond in color and light in taste. Includes malt liquor, which has a higher alcohol content, and pilsner. • Ale: Much stronger and usually darker in color than lagers. They will taste and smell strongly of malt with bitter tones. Includes stout, bock, and wheat beers. Lagers are produced and consumed in many countries while England is the prime market for ale. Non-alcoholic beer is also available. • Beer choice is subjective – and that’s how it should be purchased. If it doesn’t taste good, it won’t enhance the food. • Any product is only as good as its treatment between the brewery and when it reaches home. Imports are highly susceptible to temperature and handling fluctuations. 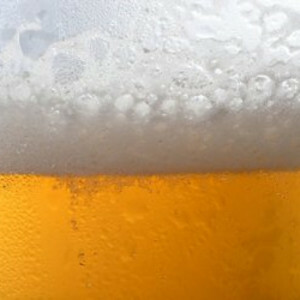 • Store ales at around 50º-55ºF, (which is also the proper serving temperature). • Keep lagers at room temperature (for cooking only). • Lagers will be consumable for about four months; ales will keep somewhat longer. • Avoid boiling beer, as much of the flavor will be lost. • Add beer to a steaming pot of hot dogs. • Do not substitute non-alcoholic or light beers in batter. • Deep-fry batters will puff up with air pockets when beer is added. • Add a little honey to offset any lingering bitter taste. • Always taste for freshness before adding to any recipe. • Darker ales sauté well with butter.